The claim is false. The image is computer generated fractal artwork by Francis Le Guen. 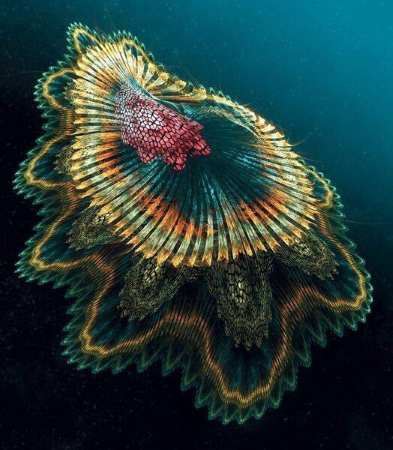 The artwork is based on a photo of Spanish dancer, which is not a jellyfish. The image was created with fractal flame editor called Apophysis. You can find this and other fractal artwork from Le Guen’s blog (in French). This debunk can be also found from HoaxOfFame.